For five years we’ve been preparing for this, despite taking steps up until now to make it impossible. Nonetheless, we are now at the dawn of another large-scale police operation whose scope and duration is unknown. The State had to get even, there had to be a rematch. Everywhere in the country, people who have visited the zad are asking themselves how far Macron will go to put an end to one one of the most beautiful collective political adventures of the last decade, to the possibility of a space for seeking other forms of life.1 While barricades take shape again on the country roads, everyone here is huddling close and wondering what will exist tomorrow, what will remain of the trembling heart of our existence from one day to the next. Most of all, our embraces say this: five years after Operation Caesar, we will have to confront the invasion, stand our ground at all costs, and make sure, yet again, that the future remains open. We’ve just gone through a tumultuous period after the State’s abandonment [of the airport project], one rife with tensions and the temptation to retreat to one’s own turf or indeed to simply give it up. But for many of us this period has also been marked throughout by the ongoing search for the outlines of a common way forward. It has been rather painful at times in these last weeks to see how widely a single binary and depressive narrative could spread. In this moment of truth, we prefer to recall what even now makes it possible still to think in a shared, collective way. Before the storm blows through here again, the following is a way to communicate why we still find it vital to continue the defence of the zad. Here, on the terrain where each of us will be in the coming days. And in the coming months as well, since Caesar 2 will certainly not bring what we’re doing here to an end. 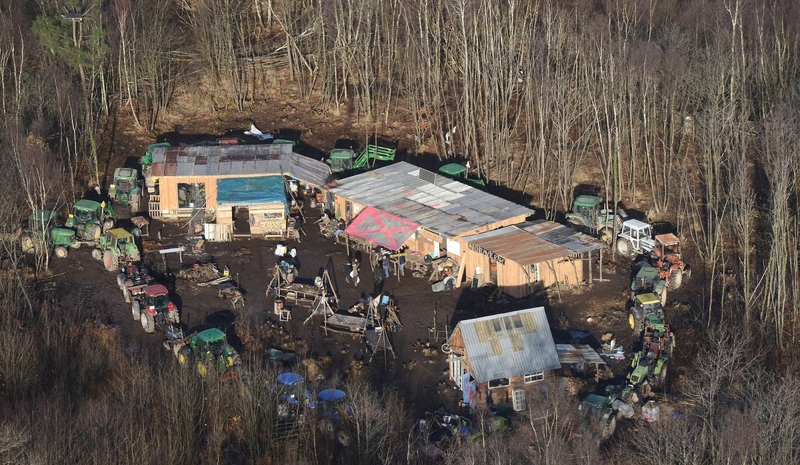 Neutralise the quasi-absolute necessity of state vengeance on the zad (in the form of the eviction operation) and so keep the inhabitants of this territory here, in all their diversity. Preserve, as much as possible, the margins of autonomy that have given this experiment its meaning while, at the same time, securing the stability desired by many of those planning to stay here. Maintain and amplify the collective responsibility for the fields of the zad and its links to other ongoing resistance struggles. In this period, there was never a choice for us between negotiating OR fighting. We have never assumed that we could get what we wanted immediately within government offices. Negotiation is only one of the levers that the movement has chosen for itself after the abandonment, and it relies on a relation of forces produced through years of resistance. It is these same forces that will be able to think an offensive negotiation, and organise a gathering in front of the prefecture when the State’s responses are unsatisfying. These forces have, in the course of the last few weeks, led a juridical and political struggle against all expulsions, organised a demonstration in Nantes on this issue with collectives of refugees and the ill-housed, and they will also be the ones that physically resist on the ground when the State attempts to evict sites within the zone. Given the fear of losing the zad’s edge, it was hardly an obvious choice for the occupiers to throw themselves into the gamble of negotiation. But for other segments of the movement, there was nothing obvious about postponing the outcome of the post-abandonment period and putting the urgent decisions it would require into the hands of large and heterogeneous assemblies. These risks and the reciprocal assumption of responsibilities are precisely what have allowed us to keep moving together as opposed to deserting or isolating each other. In this case, we firmly believed that it was necessary to make an attempt to engage at that time so that we could also continue to go beyond this, whenever the negotiation showed its limits. For years, the capacity of the anti-airport movement to compose and recompose itself has been a real nightmare for the government. The possibility that the movement should persist beyond the abandonment was extremely disagreeable to them. Consequently, at the beginning of negotiations, one of the first objectives of the government was clearly to explode the form of common delegation we had chosen. It also had to hinder our will to bring forward the future stakes of the struggle transversally: from the refusal of evictions to the movement’s collective responsibility for the land, in firm opposition to the return to classical agricultural management, without forgetting the question of amnesty. The prefecture has accordingly attempted to select its interlocutors from among us and to summon them to be part of a strictly agricultural steering committee. In every segment of the movement, and in the assemblies, the debate was long. One must not underestimate the force of these lures and the energy that the prefecture has deployed in order to avoid being rebuffed. The framework that we had slowly constructed could almost have broken into pieces, but the prefecture’s manoeuvre failed. The Acipa [Association Citoyenne Intercommunale des Populations concernées par le projet d’Aéroport de Notre Dame des Landes] has declined the prefect’s invitation while the Confédération paysanne called for a gathering opposite the steering committee and decided to bring the movement’s message in.2 The common delegation has held. The prefecture had to cede ground immediately and accept the delegation as interlocutor. Where initially only agricultural activities were to continue, the offer now concerns ‘para-agricultural activities broadly speaking’ and it is already almost certain that several hundred hectares of saved and collectively-maintained lands, in addition to the lands of the historicals [i.e. the ‘historical farmers’, those who were present before the movement began], should remain dedicated to projects linked with the movement. It is an important first step, but one that does not resolve the outcome of the struggle over the habitats, and the need, already present in this transitional phase, to gain collective responsibility over the property so this collectivisation can be made permanent later on. During this first negotiation phase, the prefecture announced its ambition to order and separate us according to unacceptable criteria. Those who wanted to stay legally were given notice to apply for individual agreements and to quickly register with the MSA [social security for farmers]. Some, impassioned by defeat and unable to scan the horizon without preconceived schemas, immediately prophesied betrayals: some would inevitably get their place in the sun at the expense of others. Indeed, at any point during the last few weeks nothing could have been easier than for individuals to save themselves through a few simple emails and administrative procedures. That was precisely what the prefecture expected. But in truth, and despite much pressure, nobody fell in that trap. Nobody sent separate applications to be examined for selection, nor did we agree to filter ourselves on the authorities behalf. On the contrary there was a firm, political refusal of these injunctions and we maintained the demand for a protective collective framework and a comprehensive agreement for all the movement’s land. This real solidarity has upset the prefecture in at least two ways: it couldn’t pursue negotiations in the manner it initially wanted to impose, and it undermined the legitimacy of its selective expulsion operation. In spite of this united front, we hear a lot about the divide between ‘radicals’ or ‘hardliners’ on one side and quitters on the other, the latter supposedly impatient to negotiate or to normalise their farmland. It is remarkable how much mainstream media, the prefecture and the preachers of a fantasised radicality all love this fiction. But for most occupants, those who fought for the zad, who inhabited it and cultivated its groves during the past years, this divide is pure fabrication. Among those who share a common line of negotiation AND struggle, among those who wish to remain here and genuinely maintain the zad as a shared space, there are in fact individuals and groups from each segment of the movement: farmers, young and older squatters, ‘historical’ inhabitants, members of the Acipa, neighbours, environmentalists, comrade unionists, passionate hikers, Coordination activists… If we envision the zad as continuing to unfold and to spread, then the idea that everything should be legal or remain illegal are two faces of the same (bad) coin. Both options are ideological fetishes, each one as sterile as the other, when it comes to pursuing struggles on the ground. The people who’ve really participated in the unfolding of the movement over the last few years, rather than simply commenting on it online, know well that these univocal visions – ‘legalist’ and ‘illegalist’, the ‘violent’ and ‘non-violent’ – have never corresponded to our real force and to what allowed us to make the State give in. These labels are as inappropriate today as they have been throughout the movement, inadequate to articulating the differing horizons present in the movement and the objectives that we have given ourselves with the ‘6 points’. The aim was never to march into a normalisation process with our heads down, but to determine what concretely would allow us to hold on to the totality of our spaces of life and activity in this reconfiguration of the situation. To do this, it is necessary to determine step by step what will best help preserve margins of autonomy and support, in order to avoid the isolation and constraints imposed by all forms of commercial and industrial production. What’s at stake here are very real practices, within a concrete relation of force with a powerful enemy, and not visions of an ideal world. We can place our trust in the attachment we have developed, over the years, to the meaning found in the free reinvention of our relationship to what we produce. That should be enough not to let go of it easily. 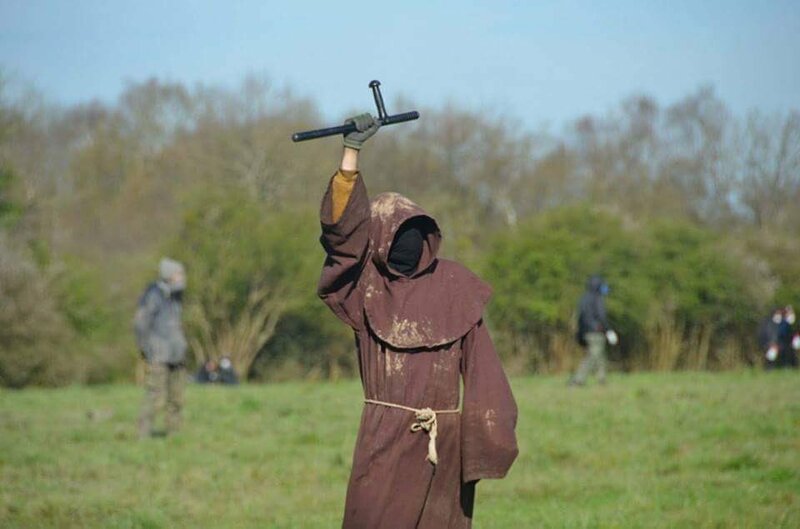 As active, physical resisters during the weeks of Operation Caesar in 2012, we know that the general defence strategy of the zad has never depended centrally on Road D281, which was barricaded by a single isolated group, and still less on the nostalgic obsession with this apparatus outside periods of attack. This road, however, has always represented to us the possibility of blocking strategic access when the time comes, and holding the ground with a wide range of methods and support from within and without. Unfortunately it is this very possibility of a wide range of resistance that the recent fixation with the road puts at risk. For months we have fought to avoid any political breach that the State could deploy to evict individuals. This gamble paid off many times over the past years, and we thought it was still worth taking after the abandonment, despite the Prime Minister’s threats. To materialise these threats, the prefecture needed an appropriate story. It needed people who could embody the infamous ‘ultra-radicals’ in the most caricatural manner. Some have performed the role that was expected brilliantly, in particular around the question of Road D281, reducing the struggle to stakes and claims that became incomprehensible to anyone, whether they be comrades in struggle, or neighbours, or more generally those following things up close or from afar. By blocking construction workers the first time, certain people – not to be confused with local inhabitants nearby the road – have in fact justified the police presence which we had to put up with for weeks, enabling them to make gains on the ground. The destruction of a few strips of pavement at the end of the works programme was a big blow. The police could have retreated and let the situation clarify itself, and we could finally have worked on finding our common strength again. Instead this managed to throw into despair many of those who have shown unfailing support confronting threats of eviction. Since the local authorities refused to open the road under these conditions, the evictions finally had a major justification and so became almost inevitable. The strength of this struggle has always lain in the way it counters the banalities of both so-called ‘radical’ identitarian ghettos and classical citizen activism. For this very reason it has often clashed with those who shut themselves up within either of these polarised positions, forcing those who have wanted to join it to rethink everything. The struggle has hereby found its own way and laid the foundations for a united front, at once anchored, offensive, and popular. For many of us, this simple fact has been a transformative political event and the driving force in a historic defeat of the State. Nevertheless, it is hardly surprising that the advent of another phase brings new questions with it, new hopes but also ideological fossilations. The sequence that follows on from a victory is certainly a moment of truth that discloses the real tenacity of those who fought for it. In this tense phase, there have been two closely related and typical ways of sabotaging our common commitments and the movement: by blocking the work on the road, OR by publicly dissociating oneself from a meeting organised by the movement to oppose the steering committee and support a transversal delegation. The sad truth is that certain people did prefer to weaken the movement by curling up around obsessions that to the rest of the movement seemed indefensible, while others were just as quick to forget our common ‘red lines’ under government pressure. Some set to work brilliantly justifying a partial eviction, placing those targetted in as isolated a position as possible. Others have remained almost completely silent as the eviction came closer. These bitter assessments could be rehearsed without end, and we could leave it at that. However, another and much more radiant truth is that up until this point and in spite of everything, across all segments of the movement most of those who have formed the core community of this battle over the years, braving dangers and trials together, have remained faithful to the promises they gave themselves. It is this very truth to which we now must hold fast to if we are not to perish in self-fulfilling prophecies of the inevitable fall of autonomous spaces and collective adventures. We will have to go through a violent ordeal that may well reshuffle all the cards. But we do not doubt that the zad will survive Caesar 2. What we will continue to carry forward will not be a showcase of docile alternatives or a radical ghetto. It will remain a granary of struggles and a common good of resistance, a place where people as different as they are unexpected live and meet, a territory that makes you want to organise seriously, to live fully, a permanent building site for wondrous constructions and waking dreams. We always need places where it is very visibly both desirable and possible not to rely on the economy and institutional management. And we need these places to last, even if they’ll take their share of impurities and hybridisations. Because the spaces that excite us most compel us to recompose and put our received political ideas into question. We believe that this basic character of the zad is what will continue to put tens of thousands of people across the country in motion. Now we have to stand together! Today the delegation of the movement, during a meeting with the préfecture ( representative of the state at the department level in France), handed in a large file of filled with forms with names on them concerning divers concrete existing projects and those being built on the zad. Today we have decided to respond to the state’s injunction. We want to stop the escalation of tension on the zone and at last be given the time necessary for dialogue and the construction of the project that we defend. On the 9th of April the government decided to brutally break off the dialogue that had been initiated with an operation that destroyed several dozen homes and places of activities on the zad. The operation has injured several hundred people. It also sparked off a host of different acts of solidarity in the bocage (the landscape of forest, fields and wetlands that makes up the zad) and across the country, mobilizing tens of thousands of people. Ministerial announcements make us believe that there will be new evictions on Monday. Despite the refusal of the government to study our proposal for a collective agreement, today we want to make a concrete gesture of dialogue to be able to get out of this infernal cycle. Now that we have handed in all the forms and declaration of intentions, we wait for the values that we hold in this bocage to at last be taken into account in the next stages of dialogue. Contrary to what the government declarations say, we never refused to put our names to or present projects, but simply want to keep a cooperative dimension and links between uses of the land. We still want to throw down roots of a vision of the commons and peasant farming that really looks after the bocage. We still want an inhabited, shared and living territory, that is also open to non agricultural projects. Together we refuse all new kinds of selective sorting and evictions of homes and spaces of activity on the zad. The pressure from the police and indefensible ultimatums have to stop. Finally we must engage in a real dialogue about the future of the zad and as fast as possible find calm the situation down on here on the terrain. We call on all our supporters to be extremely attentive to what will take place at the start of next week . If the evictions start again despite our gestures of dialogue, we will be ready to react together.